I decided to make a black sesame ganache to fill my black sesame macarons to see how intense will the overall black sesame flavour be. Follow my black sesame macaron recipe and replace the mascarpone and red bean filling with the following ganache. Melt cream in a pot and pour over the chopped chocolate. Let it sit for 2 minutes until the chocolate melts. Add the sesame powder and stir everything together until the ganache is smooth. Cool in the fridge for 60 minutes until firm for spreading. To make bunnies, I piped rounds and then continued piping down wards, drawing a short line from the circle. This creates an ear, which I then matched with another by piping another line next to the first. 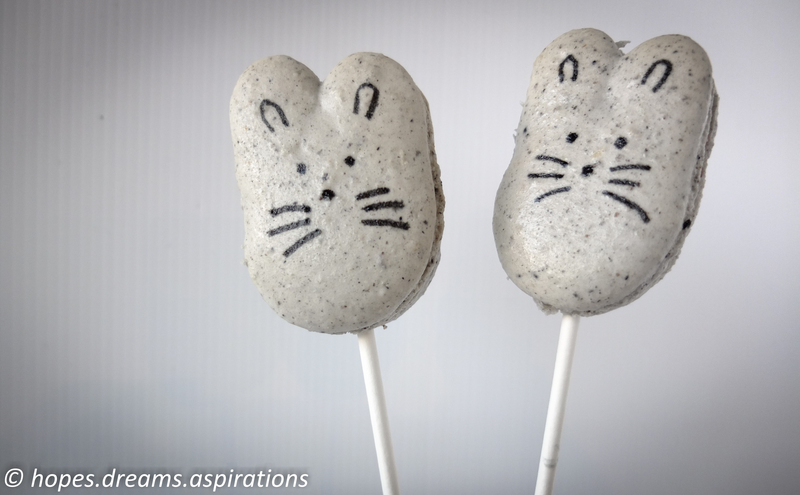 I used edible black ink to draw some bunny faces. 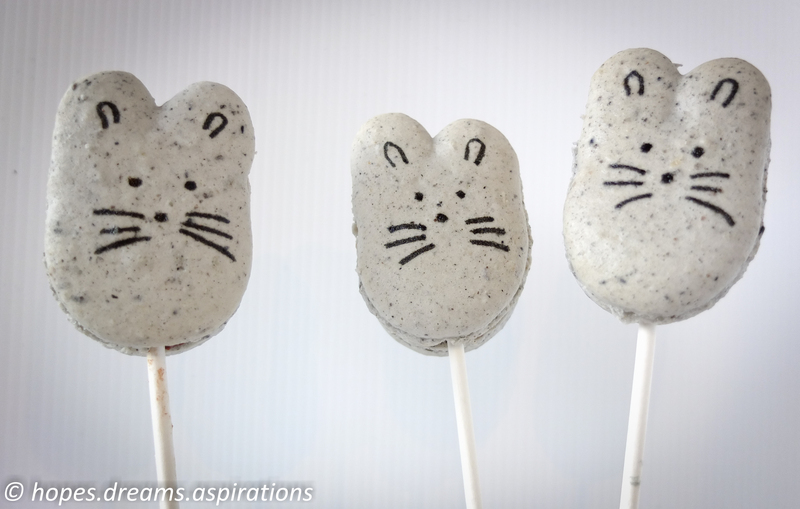 I popped a lollipop stick in between the sandwich to make bunny pops. How cute is this trio of mummy bunny, baby bunny and daddy bunny here?